Have you tried diet pills but don’t like the side effects and the yo-yo feeling? Medical therapy for weight loss is a whole different experience when directed by a physician trained in how your body systems work. Gregory Oliver, DO, of Fast Clinical Weight Loss in Indianapolis, Indiana, has treated hundreds of overweight and obese adults who succeed in reaching their weight-loss goals. Don’t hesitate any longer to receive expert guidance in your weight-loss journey. It makes a difference. Call or book an appointment online today for a consultation on how Fast Clinical Weight Loss can help you. What is the role of medical therapy in weight loss? Medication is one mechanism to help you lose weight. It can be especially helpful at the beginning of your program. Medication for weight loss should not be a goal, but a means to an end. Responsible weight-loss programs help you develop healthy eating habits and emphasize the necessity of regular physical exercise to maintain a normal weight. Obesity and excess weight are medical diseases. These medical disorders must be treated with focused nutrition, exercise, and metabolic and hormonal optimization. Metabolic and hormonal disorders are not your fault. 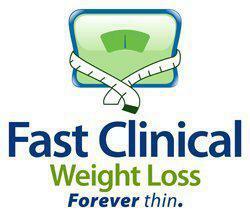 Fast Clinical Weight Loss uses only FDA-approved prescription drugs as an accessory to your weight-loss program. Some prescription drugs are approved for short-term use, while a several have been approved for longer-term use. Is medication administered to everyone in a medical weight-loss program? No. Medication is an adjunct treatment only used when needed. After a complete medical evaluation, including extensive blood testing, the staff at Fast Clinical Weight Loss recommends a treatment plan based on your body’s metabolism, hormonal levels, and similar medical considerations. In many cases, they might recommend a medication, but not always. If you have hormone disorders, Dr. Oliver can recommend hormone supplementation to improve your overall body function, energy, and weight reduction. In difficult weight-loss cases, combination therapy can work exceptionally well. The medications that Dr. Oliver prescribes are sourced from the highest quality producers, and pricing is extremely competitive. Call or book an appointment online today with Fast Clinical Weight Loss in Indianapolis. Why wait?